Any trip to the Hawaiian islands has to include a taste of the local food. It’s not just about fancy meals at 4-star restaurants though, it’s also about tasting the unique specialties which both locals and tourists alike love to enjoy. One of the great examples of this is Puka Dog, a local establishment serving Hawaiian style hot dogs on Kauai, and a true gem which has garnered a worldwide reputation as a must-visit destination while on the island. Puka Dog has even been featured on the Food Network and Travel Channel! 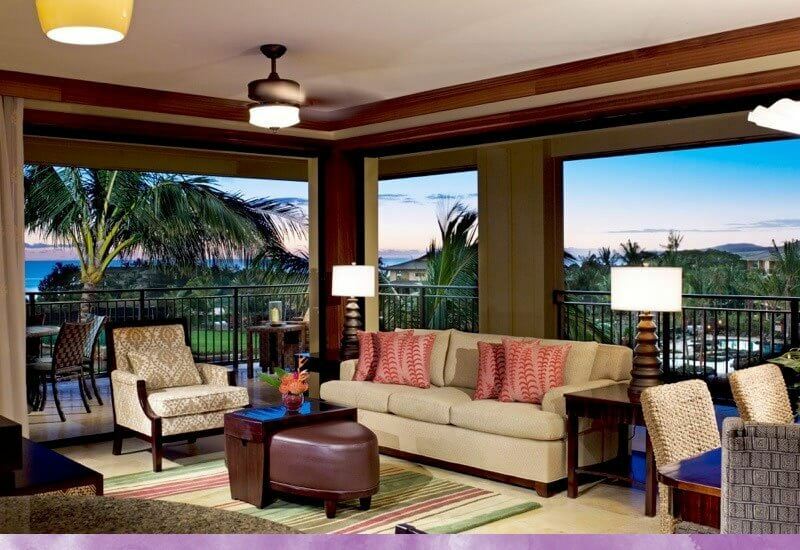 Best of all for guests of Koloa Landing® Resort, it’s just a quick 10 minute walk down the road, located at the Poipu Shopping Village, or an even shorter 2 minute drive from the resort. So what makes a Hawaiian style hot dog? First, you start with the bread. In this case, you need the authentic taste of Hawaiian sweet bread, freshly baked. At Puka Dog, they bake their own bread and then they toast them, offering a great warm, sweet and savory bun like you’ve never had before. At Puka Dog, you’ll have a choice between a flavorful Polish sausage dog, or a veggie dog, both slow roasted on the grill. Of course, a real Hawaiian style hot dog needs fresh Hawaiian fruit. Here, you’ll have a choice of fruit relish, including mango, pineapple, papaya, coconut, banana and star fruits. Every Puka Dog comes with their signature, secret garlic lemon sauce, but you get to choose your spiciness level, from mild to scorching lava. You can also add on the addictive Auntie Lilikoi’s Hawaiian mustard for another special touch. From the above options, you can get a myriad of delicious choices, and a near endless variety. After your first trip, you may find yourself making a few repeat visits before you leave Kauai and Koloa Landing® because you just have to keep on experimenting, or having your favorite another time or two. Puka Dog also serves up Puka Shave Ice in either Hawaiian style, with macadamia nut ice cream, or Mainland Style, without. They have about a dozen different flavors, as well as a lineup of their house special concoctions and combinations. Another must-have at Puka Dog is their fresh squeezed lemonade. Check out their Facebook page for updates and new tasty creations from Puka Dog. So as you plot out your food and your dining during your stay at Koloa Landing®, be sure to pay a visit to Puka Dog right next door, you certainly won’t want to pass it up!